Ashleigh Flynn’s song “See That Light” is an anti-bullying tune, in which the storyteller is a young kid in love with her or his best friend until they realize that’s not allowed. Todd Snider plays the preacher with a talking blues part in which he appeals to folks to smarten up, to get along… and to leave gay kids alone. I told you once, I’ll say it again. I’ll sing it right by and by. See that light shining through the trees? That’s my love rising in the sky. To watch her shine! Shine! Shine! And rise the tide with passing time. I would walk a thousand miles. I’d sail across the deep blue sea. If you will come for me. But that Bible was written by people too, and they were afraid themselves. I mean, who really believes that I’m gonna go to hell for planting corn and beans together? We could probably solve world hunger AND global warming by planting corn and beans together! I mean, what kind of God wouldn’t want us to love and be good to each other? Let’s try to relax a little bit! And another thing, let’s leave them gay kids alone. Let them love each other. As all the days turned into years. Portland, Oregon-based Ashleigh Flynn releases her latest CD, A Million Stars today, May 14, 2013. It is Flynn’s fourth studio effort on her own Home Perm Records, is produced by Chris Funk, her longtime friend and musical collaborator, best-known as the Decemberists’ multi-instrumentalist. The record features Todd Snider and many of Portland’s most talented musicians including, Chris Funk, Jenny Conlee-Drizos, Nate Query, John Moen, Annalisa Tornfelt, and the Stolen Sweets singers, among others. A Million Stars continues the inspired narrative Flynn began on earlier records with tales deeply rooted in the American experience. The most profound seed of inspiration for the new record was a watercolor painted by her young niece depicting a cowgirl atop her horse under a starry desert sky. Who was this girl so confidently astride her mount? Calamity Jane? Surely there were others like her? Discovering the painting led her on a quest to learn more about the women of the westward expansion, unnamed heroes that history had largely overlooked. The album’s twelve tracks represent true blue Americana featuring a bit of folk, blues, country and rock. The title cut, “A Million Stars”, chronicles the story of Cattle Annie and Little Britches, two cowgirls who rode the outlaw trails in the late 1800s, disguised as men, so as to gain entrée onto the frontier, a place not seen fit for a woman. “See That Light”, a seemingly fun little blues ditty but with a strong message, features Todd Snider, Flynn’s musical mentor, who plays the voice of reason and, in his sermon to those who might judge certain types of love unlike their own, warns of the resulting harm caused by such hypocrisy. Other highlights include a bluegrass tune “Dirty Hands and Dirty Feet”, an overall tribute to Loretta Lynn; a vintage jazz tune about Portland’s own “Prohibition Rose”; and “A Little Low”, a memorial to one of her friends, Nancy Bergeson – Assistant US Federal Defender who was murdered, and whose murder is still unsolved. “Walk Awhile”, recorded live at Search Party West, features party goers on parts of the chorus adding a fun and unique element. 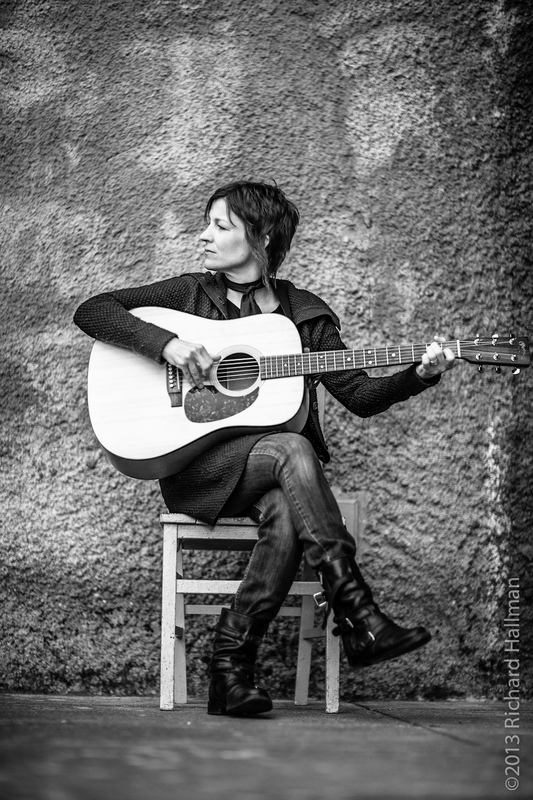 Flynn has performed at many a music festival including Bonnaroo, Bumbershoot, Falcon Ridge Folk, High Sierra, Gamble Rogers, Sisters Folk, and most recently the 30A Songwriters Festival in Florida. 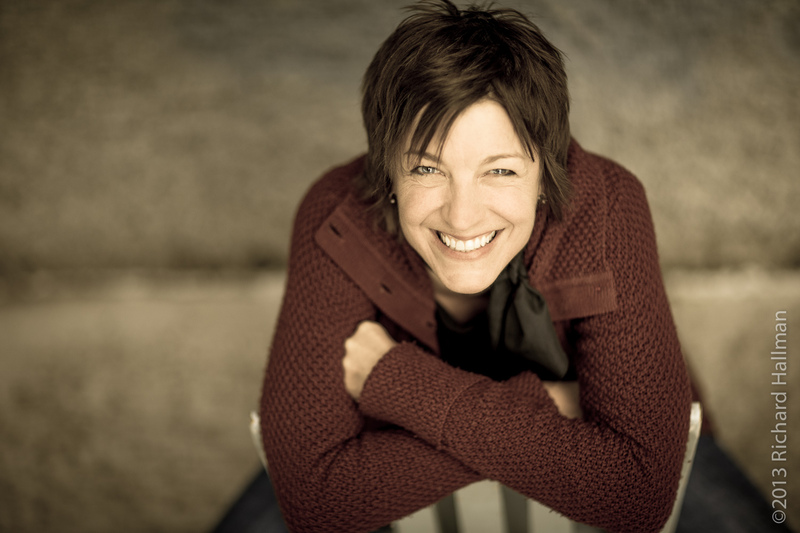 She has also traveled the globe, peddling her wares, and regularly warming tours for Todd Snider and Nanci Griffith, as well as opening shows for John Hiatt, Shawn Colvin, and Band of Heathens, among others. American Dream (2008) landed Flynn spots on many national & internationally syndicated radio programs that celebrate Americana music, including Mountain Stage, WoodSongs Old-Time Radio Hour, and NPR. From her hips to her toes – beneath her petticoat! the boys wake up under another sky! Shackled on a ship to the Far East. Denizen of the underground scene. Rosie’s got the guile to get you a little high. When the cops bust in like a pack of hounds. 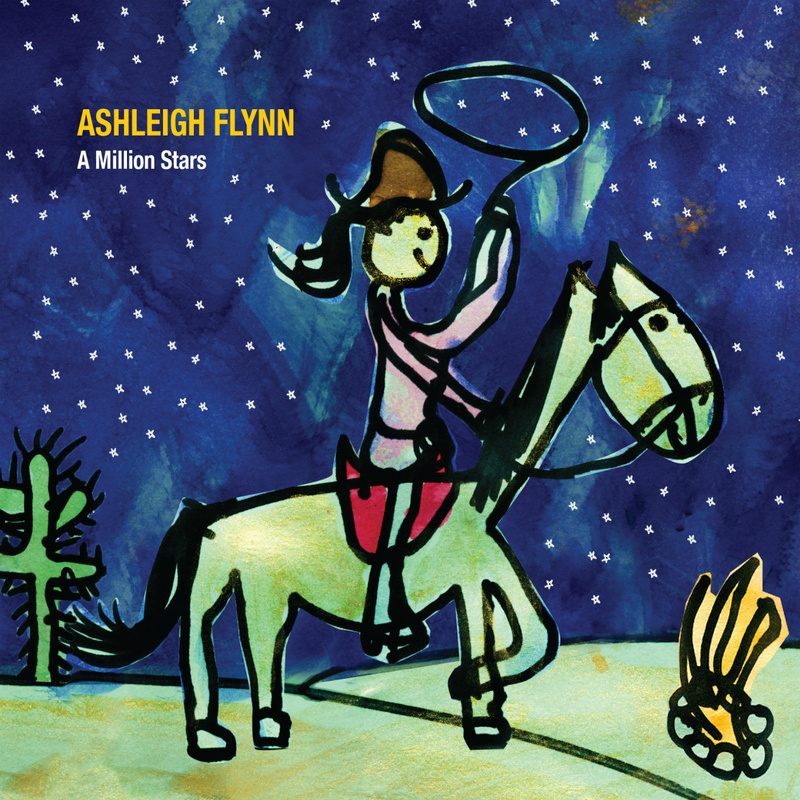 Portland, Oregon-based Ashleigh Flynn celebrates her latest CD, A Million Stars. Set for national release on May 14, 2013, Flynn’s fourth studio effort on her own Home Perm Records, is produced by Chris Funk, her longtime friend and musical collaborator, best-known as the Decemberists’ multi-instrumentalist. The record features Todd Snider and many of Portland’s most talented musicians including, Chris Funk, Jenny Conlee-Drizos, Nate Query, John Moen, Annalisa Tornfelt, and the Stolen Sweets singers, among others. The album’s twelve tracks represent true blue Americana featuring a bit of folk, blues, country and rock. The title cut, “A Million Stars”, chronicles the story of Cattle Annie and Little Britches, two cowgirls who rode the outlaw trails in the late 1800s, disguised as men, so as to gain entrée onto the frontier, a place not seen fit for a woman. “See That Light”, a seemingly fun little blues ditty but with a strong message, features Todd Snider, Flynn’s musical mentor, who plays the voice of reason and, in his sermon to those who might judge certain types of love unlike their own, warns of the resulting harm caused by such hypocrisy. Other highlights include a bluegrass tune “Dirty Hands and Dirty Feet”, a vintage jazz tune about Portland’s own “Prohibition Rose”, and “A Little Low”, a memorial to one of her friends, Nancy Bergeson – Assistant US Federal Defender who was murdered, and whose murder is still unsolved. “Walk Awhile”, recorded live at Search Party West, features party goers on parts of the chorus adding a fun and unique element. Ashleigh Flynn grew up in Kentucky and cut her teeth on local bluegrass music. She arrived on the national scene in 2008 with the release of her third record, American Dream. A prolific songwriter, Flynn is also an electrifying performer blessed with unbridled charisma. She has released two prior full-length studio records Chokecherry (2002) and Ashleigh Flynn, self-titled (1999) and a live record, Sneakin’ Out with Ashleigh Flynn (2005). Based on the merits of American Dream, Flynn has performed at many a music festival including Bonnaroo, Bumbershoot, Falcon Ridge Folk, High Sierra, Gamble Rogers, Sisters Folk, and most recently the 30A Songwriters Festival in Florida. 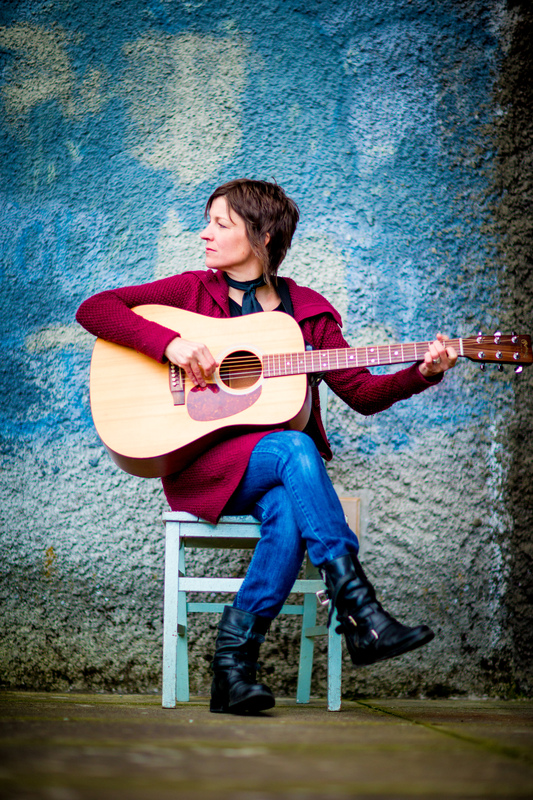 She has also traveled the globe, peddling her wares, and regularly warming tours for Todd Snider and Nanci Griffith, as well as opening shows for John Hiatt, Shawn Colvin, and Band of Heathens, among others. American Dream landed Flynn spots on many national & internationally syndicated radio programs that celebrate Americana music, including Mountain Stage, WoodSongs Old-Time Radio Hour, and NPR. Album Release Tour Dates tba.